You'll love the crisp look and clean lines of our Breakwater Seersucker Comforter Set. 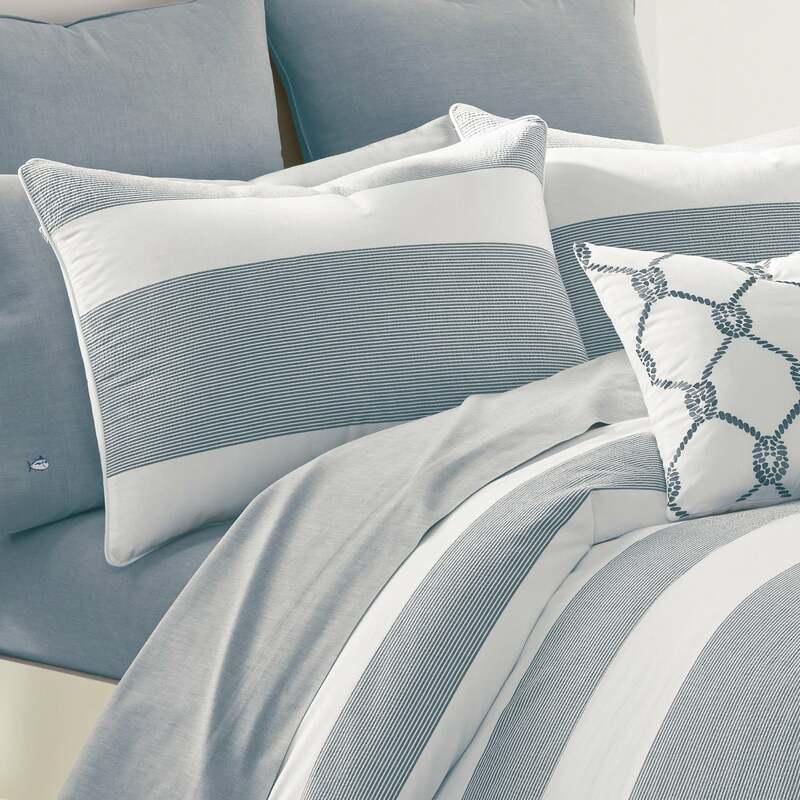 In 100% cotton woven seersucker, the comforter and shams feature a classic stripe pattern, alternating seersucker with solid white. European square sham and decorative pillows sold separately. Care instructions: Machine Wash Cold In A Large Capacity Machine, Gentle Cycle, Wash With Similar Colors. Only Non-Chlorine Bleach When Needed. Tumble Dry Low In A Large Capacity Machine, Remove Promptly.